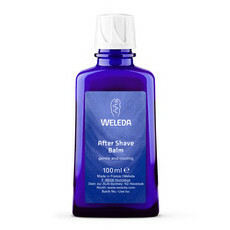 This Weleda Replenish & Refresh Pack from the Sea Buckthorn Body Care range contains Weleda Sea Buckthorn Hand Cream (50ml) and Weleda Sea Buckthorn Creamy Body Wash (200ml), both rich in Pro-vitamin A, Vitamin E and essential fatty acids from Biodynamic® Sea Buckthorn Oil. Sea Buckthorn Hand Cream is an intensively active formulation that rapidly absorbs into the skin to help protect hard-working, rough hands from dehydration as it works to restore smoothness and suppleness. It has a fresh, fruity fragrance from natural essential oils. Sea Buckthorn Creamy Body Wash produces a luxurious lather that nourishes and moisturises the skin, while the fresh, citrus scent of orange and grapefruit lifts the spirits. Apply a small amount of Hand Cream to your hands and massage until completely absorbed. Apply as often as needed. In the shower, apply the body wash to wet skin using the hands or a loofah, and rinse off thoroughly. Nice and gentle. Will try something else next.